Gallery 1516 follows on its recent celebrations of longtime Nebraska artists with an exhibition of distinguished veteran painter Allan Tubach, who will show in tandem with daughter Lisa Tubach, also accomplished with brush and canvas. Tubach + Tubach — Preservation opens to the public October 7. Omaha resident Allan Tubach is known for his architecturally inspired paintings that combine details of building facades, street signs, shadows and reflections. 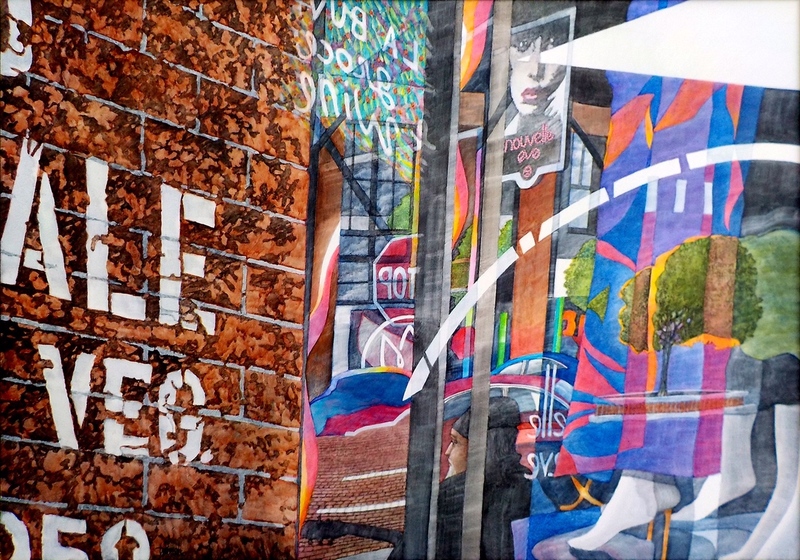 With their measured but dynamic shifts in color and perspective, the paintings are crystalline and mosaic-like; they seem to record the fleeting yet collective mobile experience of urban spaces by pedestrian and rider alike. 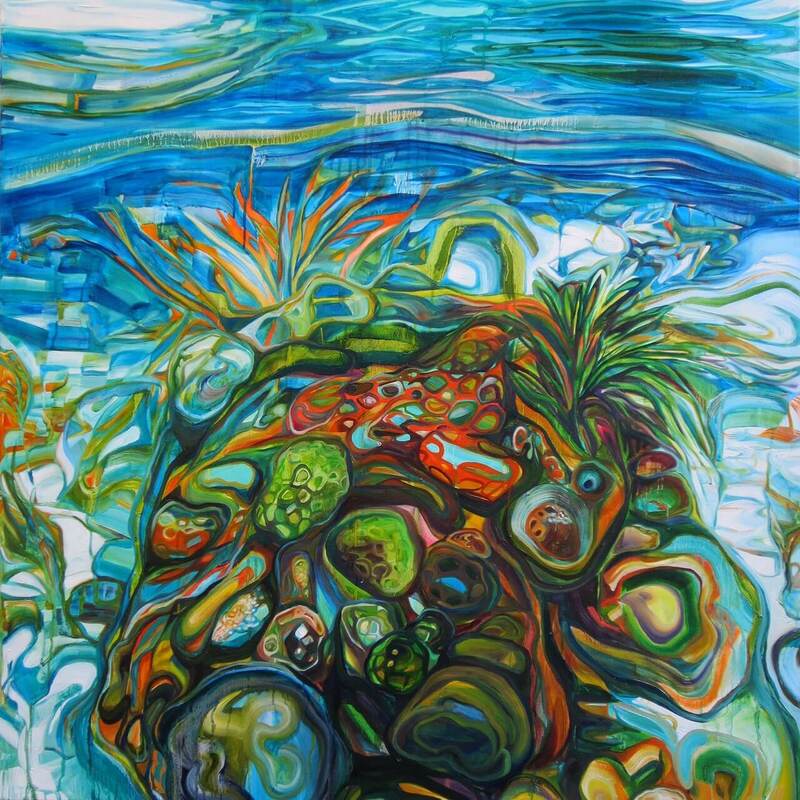 Where Allan Tubach’s environment is usually the city and his palette begins with that of glass, steel, brick and concrete, Lisa Tubach’s world is the organic riot of nature and the intricate beauty of its more hidden structures. The younger Tubach, who now lives in Virginia’s Blue Ridge country, is attuned to the sublimity and fragility of the ecosystems, and her bright, abstracted paintings embrace their currents and flux. Together their works delineate blends of past and present, with the hope of representing a recognizable future. Tubach + Tubach — Preservation opens Friday, October 7 at Gallery 1516 and runs through November 27. The gallery is located at 1516 Leavenworth Street and is open Friday — Sunday from 11am to 5pm, and on First Fridays until 8pm.